As you might know, the Pantone color of 2017 is the greenery, which is really refreshing and revitalizing. Speaking of greenery, the first thing that comes to my mind would be the spring, as there are many leaves in greenery. It’s certain that greenery will remind you of the beautiful nature, and remind you of protecting the environment that we live in today. To have a little change in our home could light us up easily. Also, the Pantone colors are likely to be trendy, it’s time for use to decorate our home in greenery, right now. Here are some simple ideas for you. In general, we would love to keep our kitchen in bright colors. So, it’s a great idea to add some greens to your kitchen. As choosing the greens, some herbs in greenery will be super useful, such as basil, chives, dill, mint, and parsley. It’s fantastic that green herbs could not only decorate your kitchen but also add flavors to yummy dishes. I would love to share two kinds of wall decor for you, the wall decals and to paint it on your own. Compared with wall stickers, to paint the wall in greenery might be a little bit more time-consuming since you could choose small wall stickers which you can pull off in a couple of hours. However, to paint the wall will be so much funnier, as you can let your imagination run riot. To have a little change in your home, to change the textile would be one of the easiest and most effective ways. So, it’s time to change your old curtains, blankets, pillow covers, duvets or even the bathroom rugs. I have to stress that the small details matter the most. When it comes to small details, there are many small things in greenery that could be the icing on the cake. The transparent flower bottle, the wooden chair, the kitchen utensil set and even the desk lamp in greenery could spice your home up in a refreshing way. 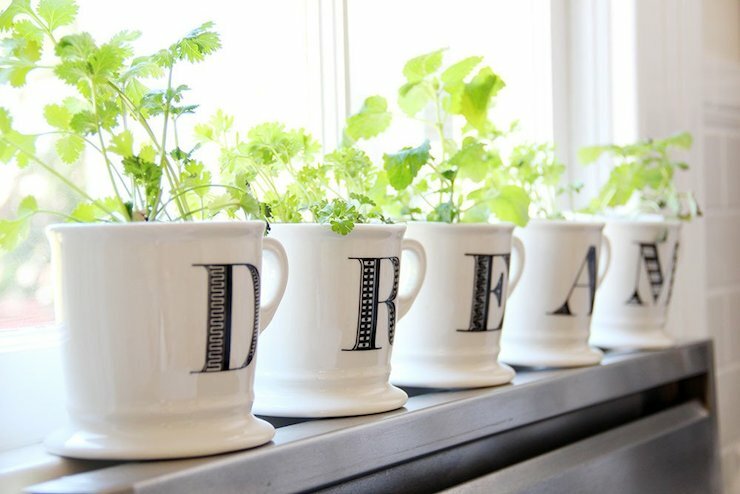 If you would love to have a pop of greenery, it’s better to take these ideas into account, since they are really easy for most people. And 2017 is just around the corner, so you better get it done as soon as possible. Just get what you need and start making your home refreshing right now.